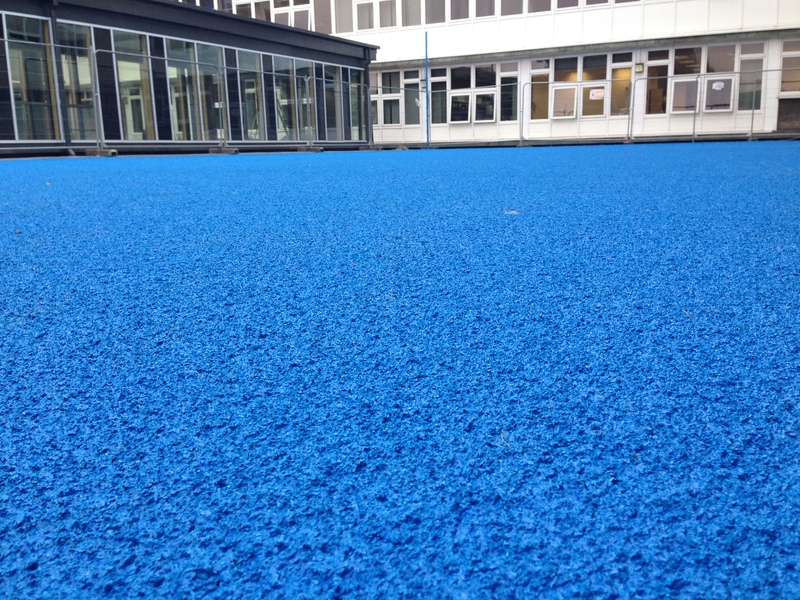 We are expert installers of polymeric surfacing for multi use games areas, and this specification has many advantages with regards to slip resistance and playing characteristics being met. 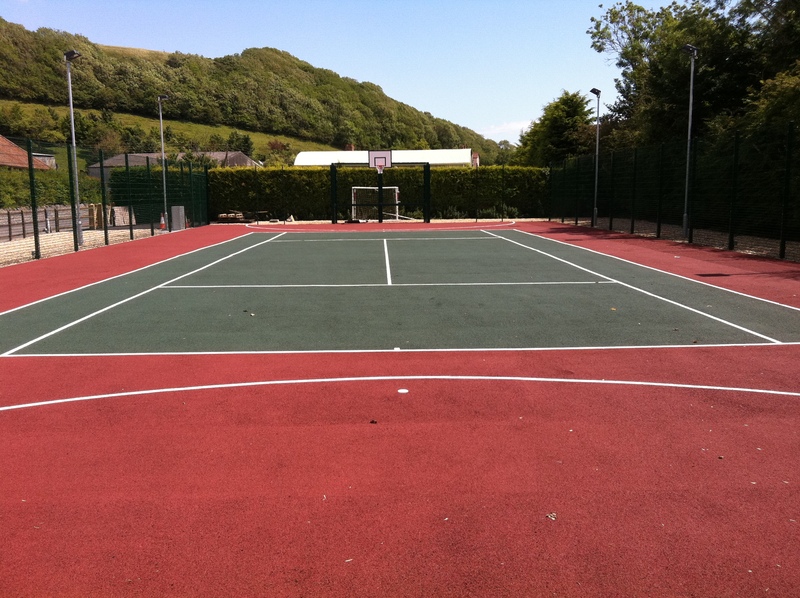 The rubber EPDM surfacing is often installed for netball courts, tennis courts and general multi use purposes at schools, colleges, leisure centres and sports clubs. Get in touch with us for more details on the different designs and flooring so we can give you an estimate on the costs. Just fill in the contact form and tell us what you’re looking for, along with the project location and size. 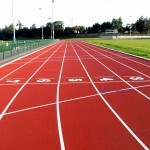 These EPDM rubber sports surfaces need to be installed onto a porous macadam sub base and to visualise the NBS specification it is similar to the athletics tartan track system but designed onto MUGAs which is ideal for primary schools, high schools, colleges, universities, leisure centres and sports clubs within the UK. The polymeric surfacing specification is made up of EPDM rubber granules which are mixed together in a binder and then laid out onto the macadam sub base. This mixture is then screeded to leave a smooth finish, and left to cure. Line markings can be applied to the polymeric surfacing using specialist anti slip paint coatings. 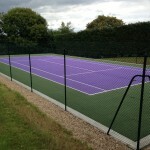 The whole court area can be sprayed with acrylic or polyurethane non slip paint in one colour or a two tone effect, then line markings can be put down in different colours for each sport. 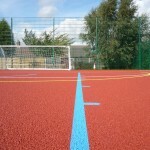 On a standard rubber MUGA the design normally includes line marking for several sports like netball, tennis, football and basketball which all will have different coloured sports lines installed onto the rubber surfacing. 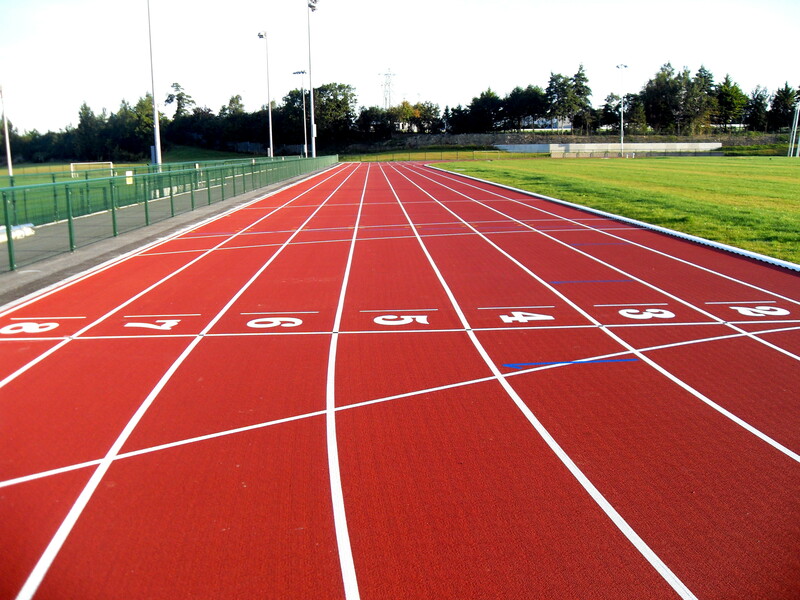 We can offer a range of designs and services with regards to polymeric rubber flooring in sports facilities. If you would like us to send you some pricing information or case studies of work we have done, please complete our contact form so one of our experts can get in touch with you. Type 3 MUGA MultiSport™ surface is a polymeric surfacing that consists of an SBR base course shockpad which then has a 3mm spray applied EPDM wearing course with binder and anti slip properties to meet the slip resistance of TRRL 75 which is primarily used for netball. This polymeric MUGA sports surface is quite hard underfoot as different binder is used to give the deformity of the surface to be minimal. 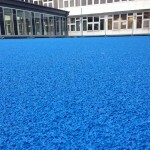 To meet the skid resistant properties of SR75 which is needed for netball set out by SAPCA, Sport England and AENA then a lacquer anti slip coloured coating is applied to the structural EPDM sports surfaces. 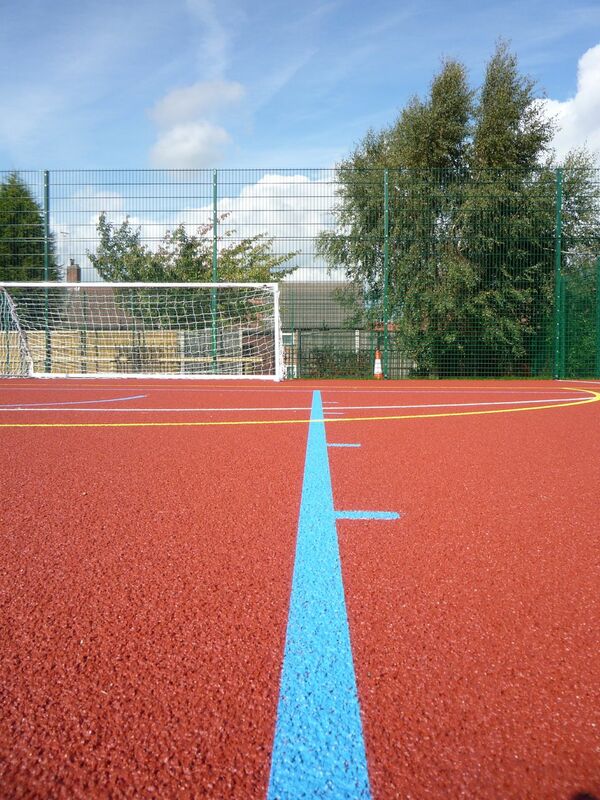 Type 4 MUGA MultiSport™ surface is a polymeric surfacing that consists of an SBR insitu shockpad and sprayed EPDM structured spray, mixed with a polyurethane resin binder. The primary sports is football & basketball and the anti slip resistance needed to be met is TRRL 55. 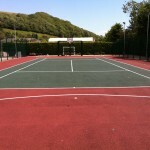 This specialist MUGA design specification is generally a little softer underfoot and doesn’t need the slip resistance as high that netball requires so generally works out on costs to be slightly cheaper as the lacquer anti slip colour coating is not needed to be applied onto this MultiSport™ Type 4 system. If you’re interested in installing polymeric surfacing for a multi use games area or athletics facility, please get in touch with us using our contact form to send us over the details of your enquiry. Don’t forget to send over the post code and area size of your project so we can offer you an accurate price for the work. Our team will be happy to have a look at your project and supply you with a quote to complete the work. Don’t hesitate to ask us any questions, and we’ll do our best to give you some helpful advice.